The organisation began life as a small educational centre dedicated to the needs of people who are deafblind, and is situated within the grounds of St. Joseph’s house, Stillorgan, under the auspices of St. Mary’s School for Deaf Girls in Cabra. A number of current residents attended the school throughout the 1980s where teachers adapted the Department of Education’s mainstream curriculum to include adapted communication systems, tactile signing and multisensory activities. Between 1997 and 2006, the Anne Sullivan Foundation purchased four additional houses in the local area. This reflected an effort to move toward a less institutional model of care and promote the independence of service users. 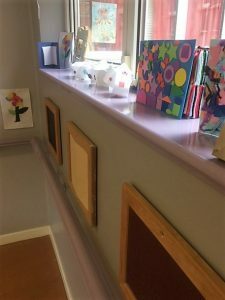 The centre itself was renovated and now boasts a number of therapy rooms that are open to service users around the clock, including a multi- sensory room, jacuzzi room and gym. Since 2010 The Anne Sullivan Foundation has been developing it’s Outreach service offering assessment and support services to people who are deafblind throughout Ireland.